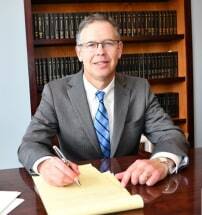 Serving injured clients in Buffalo and throughout Western New York, we at Campbell & Associates, have established ourselves as one of the premier personal injury law firms in the region. Our attorneys, Colin Campbell, Jason Telaak and Adam Hains, offer decades of legal experience in support of your case. Our lawyers are complemented by our experienced and knowledgeable support staff. Our mission in every case is to help those injured by another's negligence to recover their full damages including medical expenses, lost income and pain and suffering. Our law firm represents clients who have been injured in all types of accidents, including car accidents, construction accidents, premises liability claims, and injuries caused by dangerous and defective products. We also serve surviving family members who have lost a loved one in a fatal accident. However your accident was caused, you can rely on our attorneys and staff to build the strongest possible case in support of your damages. When necessary, we work closely with acknowledged experts across a broad range of fields to prove your claim. Whether your case is eventually resolved in the courtroom or in negotiations, we will not stop until we have done everything within the law to ensure you are treated fairly. In addition to our Buffalo office, we maintain locations in Eden, Dunkirk and Jamestown. Call Campbell & Associates, at 716-575-7444. We provide a free initial consultation, and accept all cases on a contingency fee basis.